Cellulose, sodium croscarmellose, stearic acid, hypromellose, silica, glycerin, riboflavin (color). Take 2 tablets daily preferably with food. If pregnant, nursing or taking any medications, consult a healthcare professional before use. KEEP OUT OF REACH OF CHILDREN. Take 2 tablets daily, preferably with food. If pregnant, nursing or taking any medications, consult a healthcare professional. Keep out of reach of children. 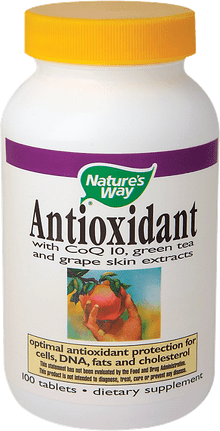 Contains antioxidants Beta-carotene, Vitamin C, Vitamin E and Selenium that combat free radicals that damage cells, DNA, fats and cholesterol. 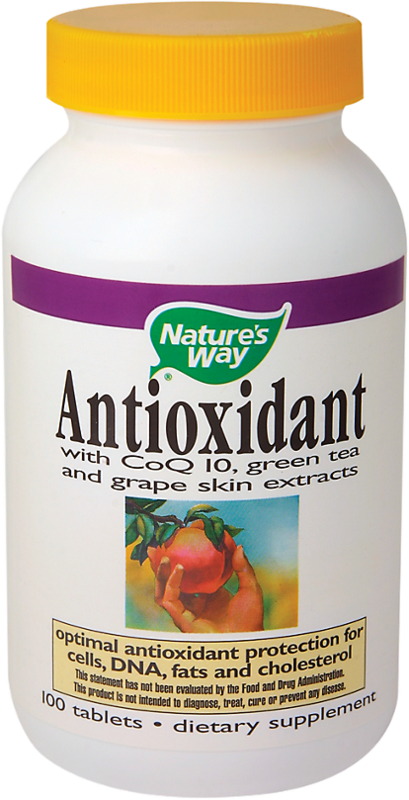 Our Cell Formula with antioxidants is carefully produced to superior quality standards. Other ingredients: cellulose, sodium croscarmellose, stearic acid, hypromellose, silica, glycerin, riboflavin (color).